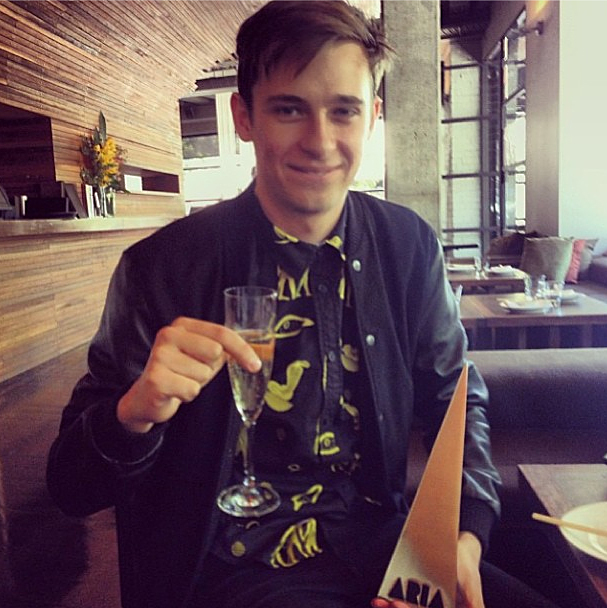 SYDNEY electro music producer Flume has topped this year's ARIA nominations, announced today in Sydney. The 21-year-old, real name Harley Streten, received eight nods including Album of the Year, Breakthrough Artist and Best Male Artist. On top of that, Streten also took home an ARIA artisan award for Producer of the Year yesterday. Hot on his heels are WA psychedelic rockers Tame Impala with seven nominations and Birds of Tokyo and Nick Cave & The Bad Seeds with six nominations each. Streten tweeted a photo of himself celebrating his artisan ARIA win with a glass of bubbly and the pointy statuette. Australian Idol alumni Guy Sebastian and Jessica Mauboy were also nominated in the Best Male and Female Artist categories respectively. Former Wiggle Sam Moran is up against the children's group for Best Children's Album while Melbourne's Vance Joy has secured his first-ever ARIA nomination for Breakthrough Artist. The 2013 ARIA Awards will be held on December 1 at the Sydney Events Centre at The Star and broadcast on Nine's GO! channel.